I am so excited to share this session!! 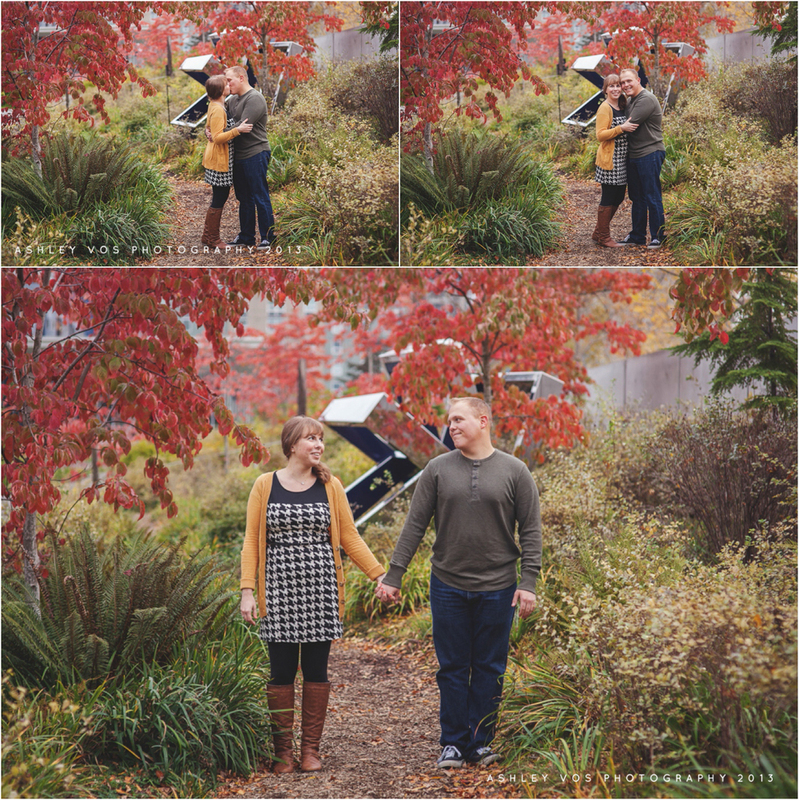 Bridgette contacted me for a session with her boyfriend Matt to take advantage of those gorgeous fall colors. I jumped at the chance and was absolutely ELATED when Matt contacted me saying he wanted to surprise Bridgette with a proposal at the Seattle Waterfront at the end of the session. Ahhh!! I was so nervous. There was a lot of planning, a lot of sneaking around - I had to get the ring into my bag and then back to Matt without Bridgette noticing - and she notices everything!! We started off the session at the Olympic Sculpture Park and ended it on Pier 62/63 on the waterfront. And yes, I cried!! Congrats Matt & Bridgette!! So happy I got to capture this incredible special day for you. Thank you for allowing me to be your engagement photographer in Seattle. If you’re interested in Seattle Family or Engagement Photography, please contact me as soon as you can. I'm currently booking through February 2014 for portrait photography. “Like” me on Facebook leave a comment below if you enjoyed the photos! !